How embarrassing and immature; we never learn do we? Would it be that much of a stretch and would it ache that much, just for once, FOR ONCE, for some of the mainstream media and a particular breed of talkback caller (the rabidis dogus), to acknowledge that the All Blacks were JUST FOR ONCE beaten by the better team? But no, the poor old venerable referee, in this case Nigel Owens, cost us the match. Not a mad-headed pass from Jordie Barrett that cost seven points, not Beauden’s erratic goalkicking, not our inability to find a Plan B, not the dumb choice of failing to at least trying to set up for a drop goal in the final few minutes in the shadow of the goalposts. Not even because the Springboks played it smarter and were just so completely inspired. Nope, didn’t happen as far as some seemed to be concerned. Either that or they we were all off making cups of tea throughout the great majority of the game. And actually, saying Owens was responsible for the loss (because he didn’t agree with an offside call from the TMO) is a laugh in itself. Referees are not duty-bound to act upon every single piece of advice they hear through the headset (and who knows, the crowd was in such a ferment and the action so frantic, Owens may simply have been unaware of any message). Ridiculous, and no wonder the overseas press often stick it to our rugby media and public at large as being arrogant and sore losers. I agree with them. And bear in mind that we only lose once in a blue moon nowadays. Isn’t it time we lost this unbecoming, sulky hang-up? In relation to the above, the NZ Herald headline was the worst from up this way anyway. Graham Love’s Twitter: @GLove39. Well altered, mate! Note the fine print in the first paragraph: The reference to ‘sore losers’ was directed at some work of the mainstream media and the odd (literally and figuratively) talkback caller who just cannot accept that sometimes the All Blacks might not be the best side on match day. If you are wrought over the loss though, keep in mind the Boks had to play almost the match of their lives to just scrape home. The All Blacks have been playing at that high intensity level for ages now and are excellent consistently. 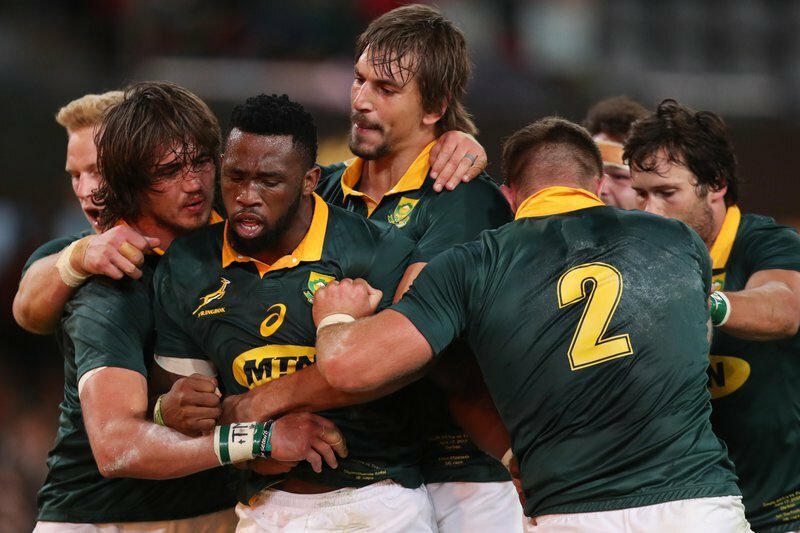 History, form and metrics would indicate that the Boks will be highly unlikely to achieve that level over a short space of time. The All Blacks should still be favourites for Pretoria (and the TAB will reflect that), but the Boks will have some all-important belief. That is huge in itself. Apart from a couple of my mates who predictably down on the ABs for their shortcomings on the day, the rest of us accepted that we were beaten by the smarter team on the day. To be honest ( and I was at the game) I felt it was a similar feeling to the 1995 final in as much as whatever we did we were not going to win that day. On both occasions, they were more up for it than we were.